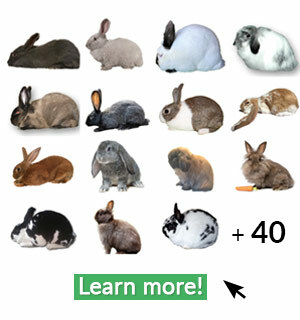 Learn more about French Lop Rabbits! 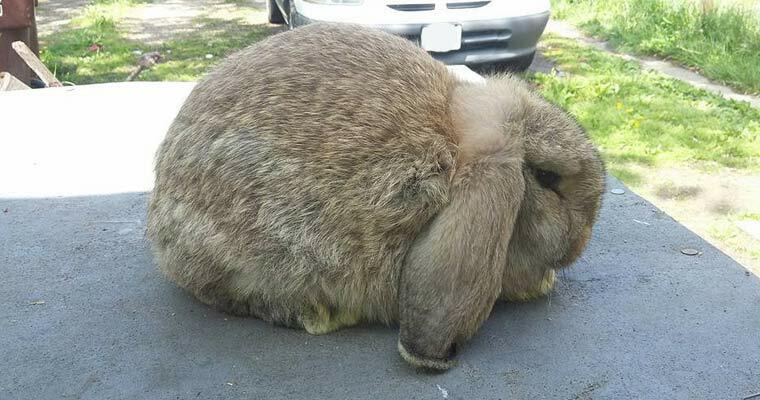 French Lops are believed to be the result of crossing the Butterfly and English Lop, for the original purpose of increased/improved meat production, around 1850, in France. Butterfly rabbits’ can still be found in France & they closely resemble todays’ known Flemish Giant, with a shorter body and weighs approximately 15lbs. French Lops were later introduced to the UK in the 1930’s as their popularity continued to increase. They later were imported into the United States around 1970, and today are known as one of the more popular domesticated rabbits for showing. 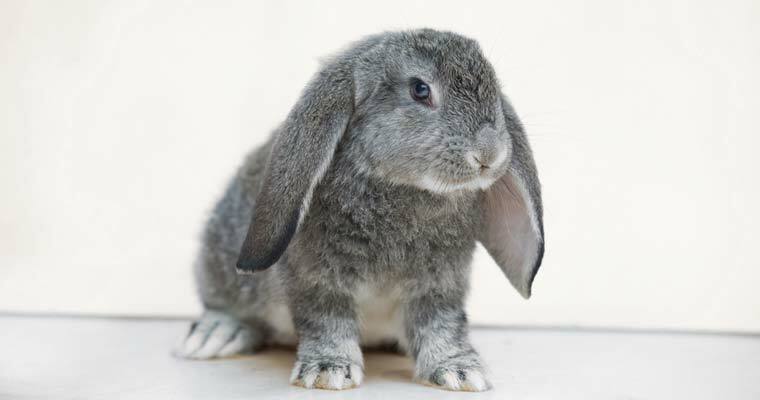 What is a French Lop? French Lops are a commercial type breed of rabbit, which are large & heavy in body size and have thick medium length lopped ears (typically 5-8” long) that hang below the jaw-line, which are set with a very definitive, wide crown. They have short fur, in a solid or broken pattern. Furthermore, their body is heavy, short, and semi-arched; they are to appear broad and well-muscled. The minimum weight for senior age (8+ months old) “Frenchies”, as they are commonly called, is 11lbs for bucks and 11.5lbs for does. However, there are no maximum weight requirements for seniors. 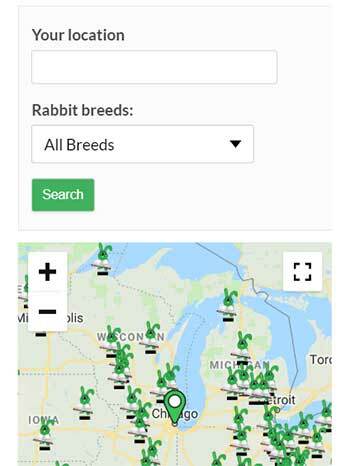 Otherwise, these rabbits are extremely sociable, among the most friendly and affectionate rabbits, enhancing their popularity as excellent pets. 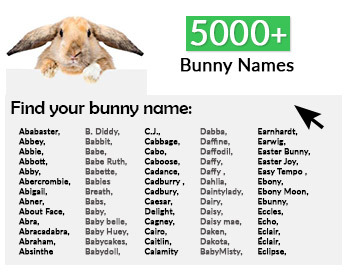 They are highly intelligent, as most rabbits are, and are easily trained to use a liter pan. How do I care for a French Lop? ‘Frenchies’ do equally as well living in indoor or outdoor hutches. If outdoors, it is important to remember that the hutch must be secure, weather-proof, and predator proof. The living space should be no less than 36” x 24”, and have a solid floor (verses wire) to prevent sore hocks and abscesses on their feet. Another notable factor is that, due to their large size, they do not tolerate heat very well, so it is suggested to provide large ceramic floor tiles that have been frozen. These tiles make great coolant systems, as they are flat and remain cool for a long time. They can cool a much larger area of the body and do not have the same risks as frozen water bottles, which sweat and cause the rabbits’ fur to get wet – increasing the risk of Fly Strike. In regard to diet, French Lops should have and do very well with unlimited timothy hay, and a high-quality pellet which contains 16-18% protein, as well as unlimited clean, fresh water. Giving them rabbit-safe treats is also permissible, in moderation. As it is with every breed, French Lops should never be given a bath, but do require the regular grooming – including health exams, fur brushings, and nail clippings. Is my French Lop show quality? Three of the most important qualities to look for and build your show-lines on are bone, type, and size. When posed on the table, a good show quality French Lop should look like a well-balanced basketball. The front legs should have the appearance of a cigar’s thickness, not a pencil. The ears should hang about 1½” below the jaw line, be thick, have no creases, and be well furred with rounded tips. The head should be broad and well-filled across the muzzle, with good width between the eyes as well. The crown, which is the raised cartilage or tuft on top of the head – between the ears, should be no less than 4-finger widths from ear to ear. Shoulders should be high, very wide and solid, with no dips and no neck visibility. The topline should rise to the highest peak possible at the hip, without losing width across the midsection, then be very round and full over the hips and hindquarters, which flows evenly all the way down to the table. The hind feet should be straight, without evidence of a “V” shape, and strong. Lastly, the fur should be glossy and lustrous, about 1 ¼“ long, and have a dense, thick rollback consistency. BODY: thick & massive, well-muscled, with broad, well-rounded and full shoulders blending into hindquarter which is well-filled, and of good depth. HEAD: slightly curved from the ear base to the nose; strong, wide, and set close on the shoulders with a prominent crown. EARS: lopped with a strong rise from the crown, resembling a horseshoe shape. Length and width should be balanced to body size, hanging 1.5 or more inches below the jaw, thick, well furred & well-rounded. TYPE: Massive, firm, short, broad, well-muscled and balanced, with little visibility of neck. Arch rises to curve over well-muscled, wide, short rear end. Chest is broad and deep. Front legs are short, thick, & straight. Tail is straight and well-furred. HEAD, CROWN, EAR, EYE: well-developed, wide, broad, & full-cheeked. Crown is to be distinctively visible on top of head. Ears are to be thick, well-furred, broad, and rounded at tips, with no visibility of inner ear from any angle; length is not measured. Eyes are to be bright and round.